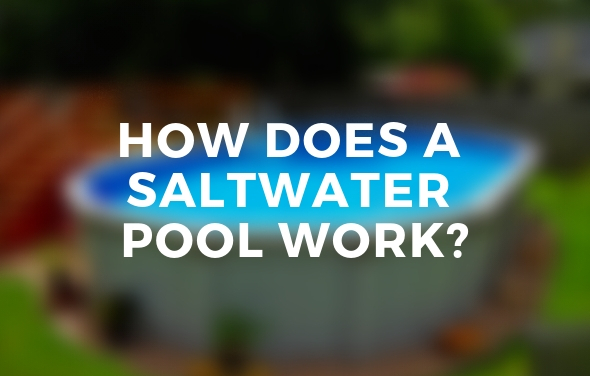 Shop the best selection of Above Ground Saltwater Pools in our Swimming Pools Department. 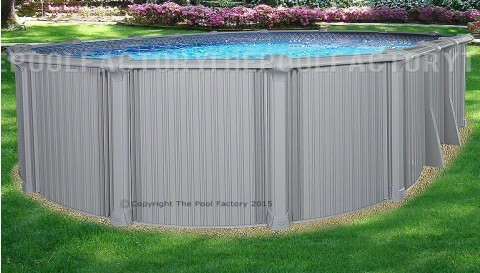 The Saltwater Series pool models redefine the standard of beauty and strength. 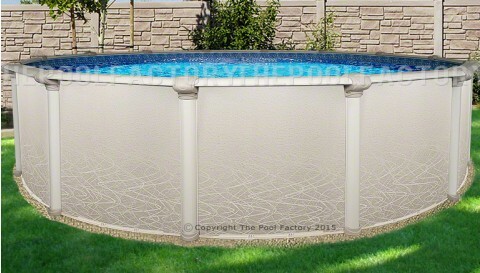 Both the Saltwater 5000 and Saltwater 8000 pool models feature high tech resin components that are able to resist the corrosion issues associated with saltwater pools and chlorinated water. 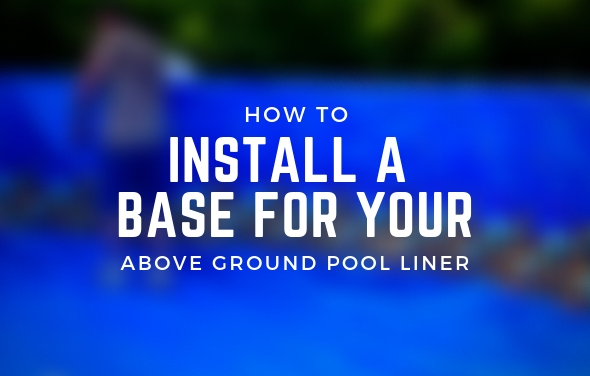 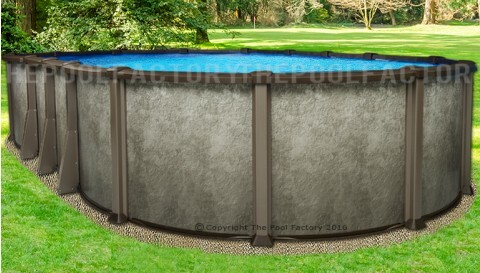 If you're looking to install a saltwater system with your above ground pool, The Pool Factory's saltwater pools are your best option, as both are warranted for use with a saltwater system. 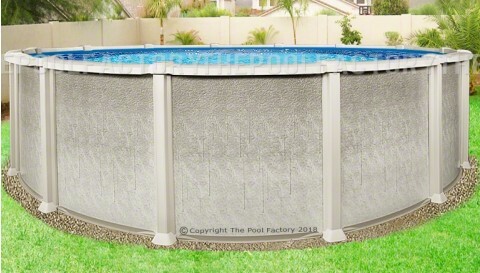 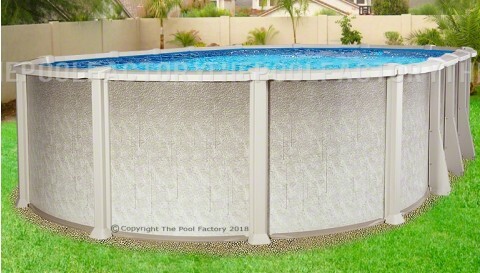 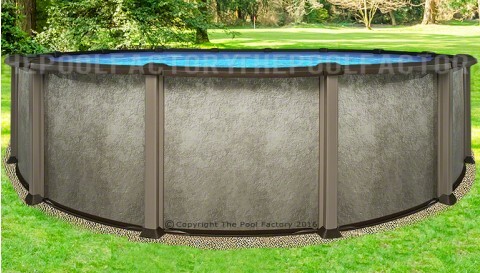 Our saltwater pools feature high tech resin top ledges, resin top and bottom tracks, resin connectors, as well as a stainless steel skimmer and water return panel for superior corrosion protection. 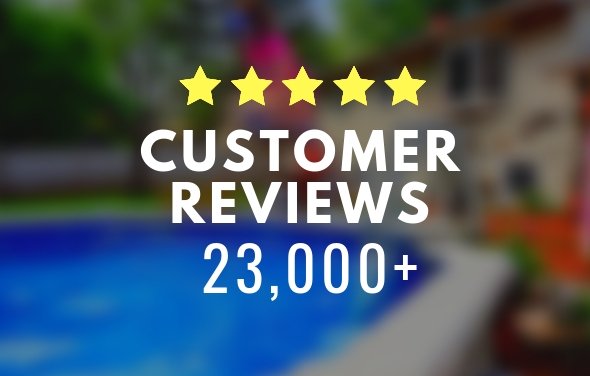 With many saltwater pool sizes to choose from, you're certain to find the perfect saltwater pool for you and your family.